It is a Perfect Shape module and allows to easily place notches inside other shapes or rectangles. 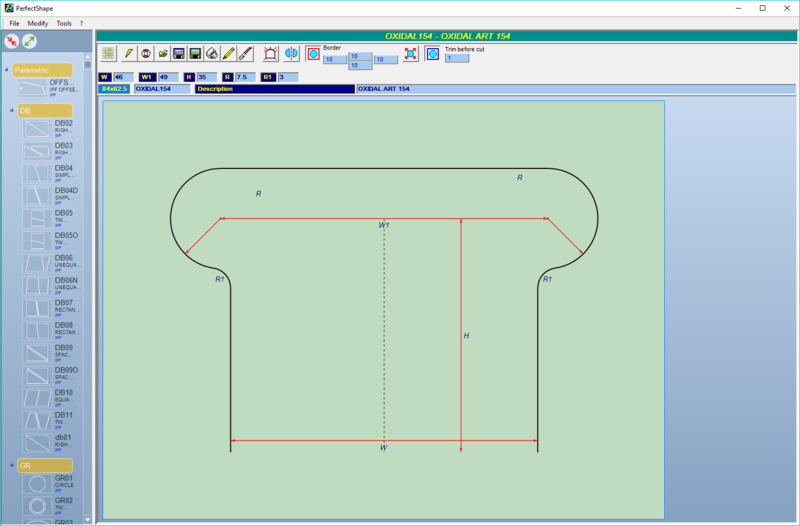 Opening any shape (parametric or standard) or a rectangle from Perfect Shape you can open Perfect Notch the notches insertion module. Notches are parametric or standard (e.g. DXF) shapes with some defined insertion points. The insertion points are used as anchors when the notch is placed. The notch can be defined as construction entity or as cutting entity. If defined as construction entity it is shown on reports but it will not be processed by the cutting machine.